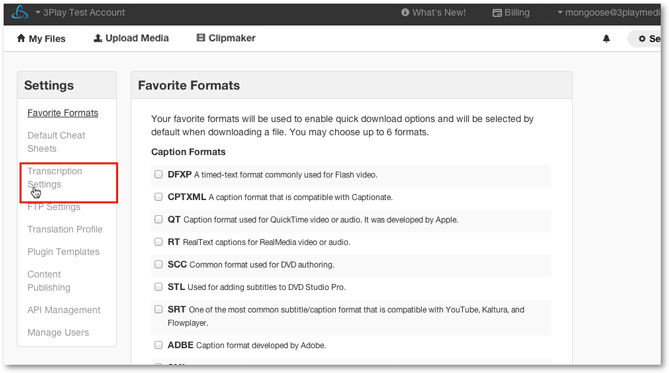 Before uploading media files configure your transcription settings based on content and the needs of your project. 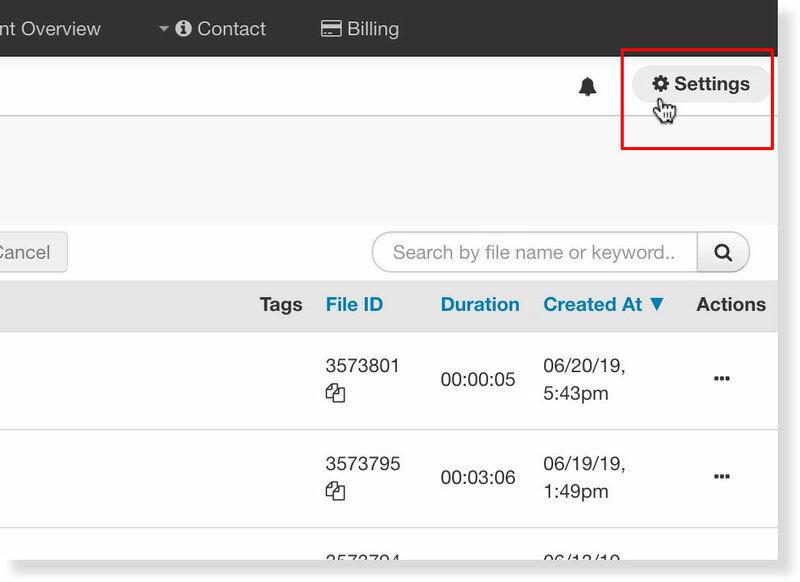 Once a project's transcription settings are updated and saved any file uploaded to that project will immediately take on these settings at the time of upload and cannot be edited after upload. On the left-hand side of the page click Transcription Settings. 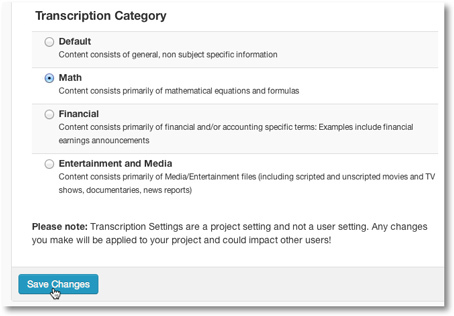 Once you are on the Transcription Settings page, make your selections from the three categories. See more information about Transcription Settings. Before navigating away from the Transcription Settings page, be sure to click Save Changes.